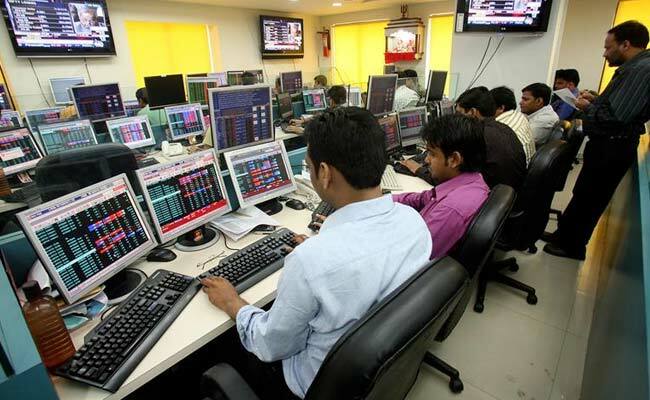 The Nifty rose above 10,400 while the gains were broad-based, with all the sectoral indices on the BSE in the green. On Thursday, the rupee had closed at three-month low of 65.04 against the US dollar. The Sensex edged over 100 points today amid positive global markets. The rupee also rebounded from Thursday's 3-month lows, rising to 64.84 against the US dollar. On Thursday, the rupee had plunged by 28 paise to end at a new three-month low of 65.04 against the US dollar. On the NSE, the Nifty also rose to 10,426. Asian shares rebounded today as comments from a Federal Reserve official eased worries that the US central bank might raise rates more aggressively this year. Asian shares took a knock on Thursday after minutes of the Fed's last meeting showed policy makers were confident about the economic outlook, prompting some investors to boost the odds of faster rate hikes. Overnight, on Wall Street, the Dow added 0.7 per cent while the S&P 500 ended a tad firmer. Back in the domestic stock markets, the gains were broad-based with all the sectoral indices on the BSE in the red. Buying was also witnessed in broader markets, with BSE midcap and smallcap indices rising over 0.5 per cent. Banking, pharma, metal and IT stocks led the gains today. Among the Nifty50 stocks, Sun Pharma, Tata Steel, Tech Mahindra, Bharti Airtel, Aurobindo Pharma, Lupin and Cipla rose between 1-2 per cent. M&M, TCS, Asian Paints and GAIL India were among the laggards. Global financial markets have fluctuated wildly this month as investors fretted about how fast the US central bank might raise rates in the wake of data showing a pick-up in US inflation. That in turn has stoked anxiety that many central banks will start to tighten policy in a hit to earnings, which have boomed thanks to a synchronized uptick in global growth. The Fed started tightening its ultra-loose policy at the end of 2015 after keeping rates on hold for almost a decade. It raised interest rates three times in 2017 and is likely to tighten again in March.